Liverpool registered a second straight 1-1 draw against bottom-half opposition, with their lead over Manchester City at the top of the Premier League now just three points. Five days after taking an early lead against Leicester, only to throw away two points in a nervy second-half display at Anfield, Jurgen Klopp’s team did exactly the same against West Ham at the London Stadium. Sadio Mane took advantage of the assistant referee’s failure to see James Milner in a clear offside position when firing the visitors ahead just past the 20-minute mark, but the Reds were slow to react to a clever free-kick routine only six minutes later, allowing Michail Antonio space to finish stylishly past Alisson. It was Antonio’s fourth goal against Liverpool, and the Hammers should have added a second on the night when Declan Rice beat the offside trap at another set-piece before half-time. Neither team could find that elusive winner in the second half, leaving the Reds to wonder just what impact the lost two points could have come the end of the season. 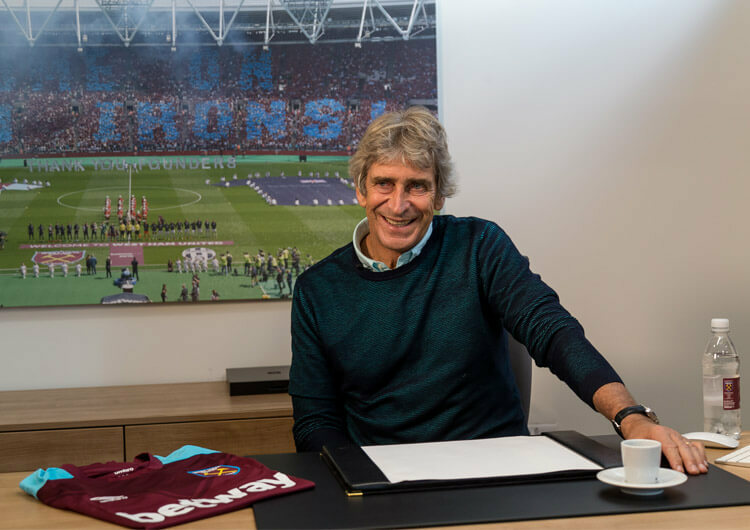 Manuel Pellegrini set West Ham up in a 4-1-4-1 formation in possession, with Declan Rice sitting between the defensive and midfield lines. 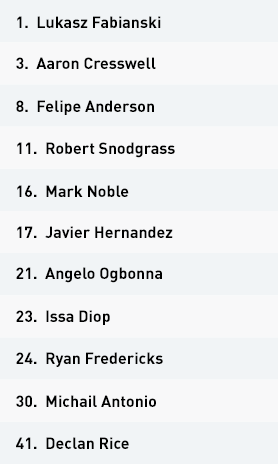 Felipe Anderson, Mark Noble, Robert Snodgrass and Michail Antonio formed a four-man midfield behind lone striker Javier Hernandez. The hosts struggled to maintain good possession for any significant periods of time, but when they did they looked mostly into the feet of Felipe Anderson on the left. The Brazilian would then try to use the movement of his teammates around him to create space for himself, or draw Liverpool defenders towards him so as to create space for others.  The Hammers also played direct balls from the back, but the diminutive Hernandez had little joy against Virgil van Dijk and such balls rarely led to good possession for either side in midfield areas. The hosts did manage to win several fouls in the Liverpool half, usually in transitional moments. They had clearly prepared for this, with several chances – including that from which Antonio equalised – created from good set-pieces. Out of possession, West Ham set up in a 4-5-1 and operated in a mid-block throughout the game. They had limited interest in pressing in the Liverpool half, and were happy to allow Van Dijk and Joel Matip to have possession. 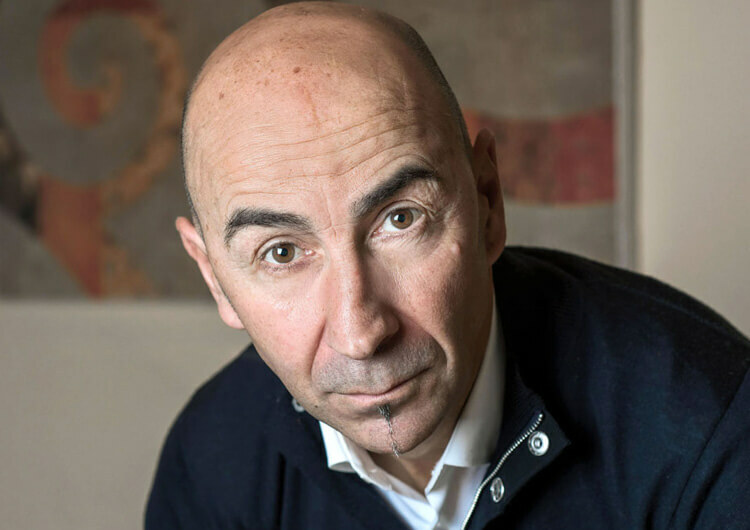 Individuals had clear roles: Hernandez screened the ball into Fabinho, while Felipe Anderson pressed when the ball went into James Milner, and Antonio did the same for Andy Robertson; Snodgrass tracked Adam Lallana and Noble was on Naby Keita. 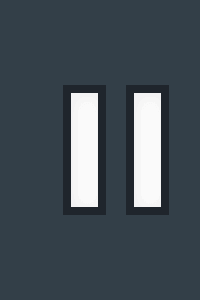 Rice sat deeper, screening the ball into whichever Liverpool attacker was central but also tracking any dropping movements in between the lines – which usually came from Roberto Firmino. 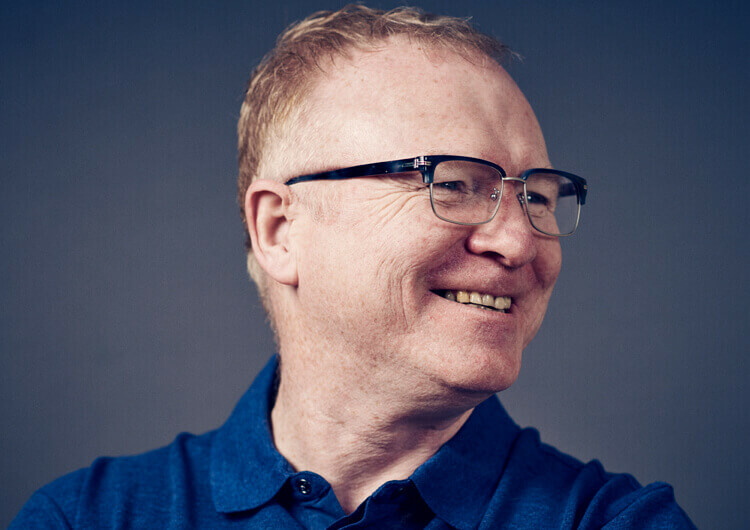 The defenders were always on the front foot, and aggressive in stepping out when Liverpool’s attacking quartet of Firmino, Mo Salah, Sadio Mane and Adam Lallana tried to receive between the lines – although only as the ball was about to be played, in order to avoid being exploited behind by moving too early. 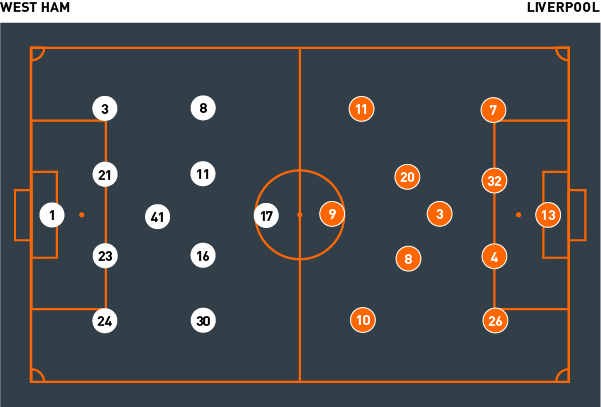 The midfielders would look to get out to their opponents on the ball, particularly in central areas, and often closed down with a slight bias towards the ball-carrier’s inside shoulder. 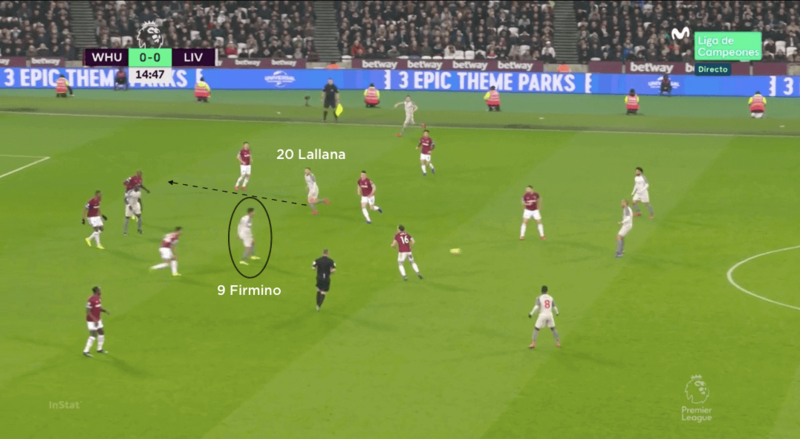 This reduced the scope for Liverpool’s midfielders to clip the ball in behind the defensive line and towards goal; instead, they were forced to clip to a runner moving away from goal, which would allow the defenders who tracked him to maintain their position between ball and goal. The potential weak link in this defensive structure was Snodgrass, who had a tendency to get drawn out more than the other midfielders. 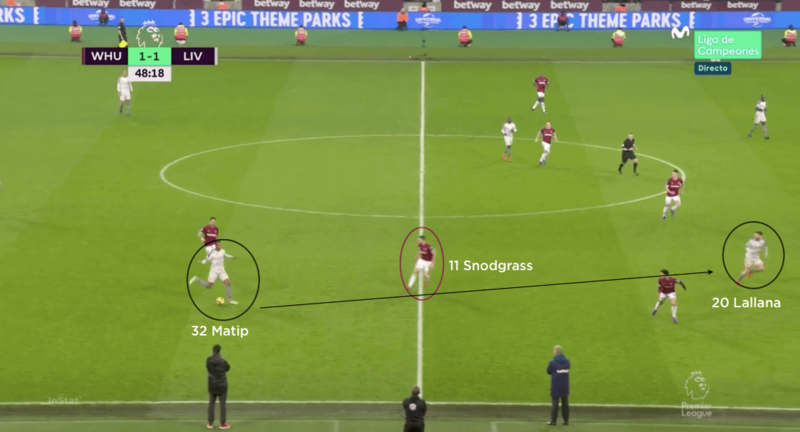 Noble kept his discipline when Keita dropped short, refusing to be sucked out too far, whereas Snodgrass would occasionally press Matip when he brought the ball out, or Lallana/Shaqiri if they dropped deep. 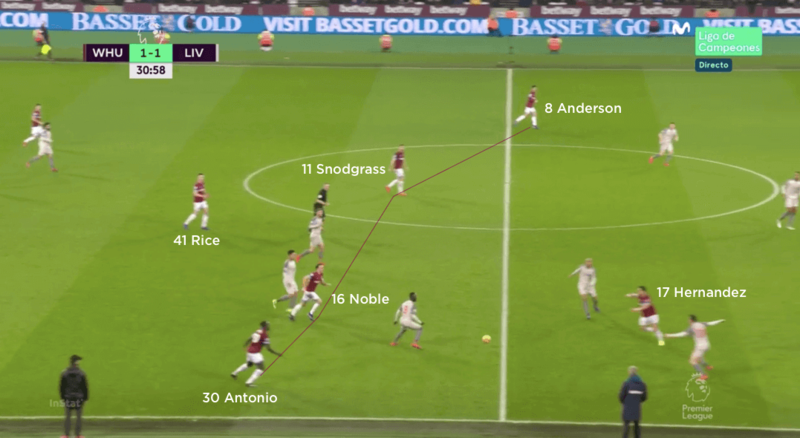 This created more space between the lines for more advanced players to drop in and receive, although Liverpool’s lack of pace and quality on the night meant the hosts rarely looked in too much trouble. 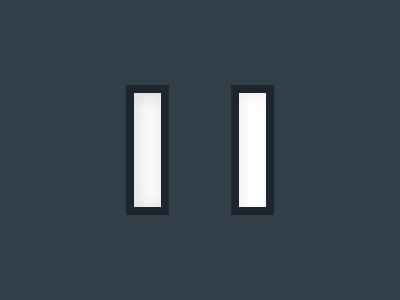 In the end, a point was probably the least they deserved for a much improved display. West Ham set up in a 4-1-4-1 formation, with Javier Hernandez as a lone central striker and Declan Rice sitting between the midfield and defensive lines. The hosts dropped into a 4-5-1 out of possession, but had little interest in pressing Liverpool in their own half. 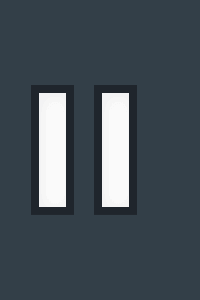 The West Ham midfielders would press their opposite numbers in a way that forced clipped forward passes to players running away from goal. This enabled their defenders to maintain a good position between the ball and the home goal. Liverpool set up in a 4-3-3 formation in possession, with Fabinho operating behind Naby Keita and Adam Lallana in midfield. Out of possession, the Reds often dropped into a 4-4-2. Lallana pushed out to the right of midfield, with Sadio Mane dropping on to the left side of a midfield four. The Reds tried to utilise vertical relationships to move West Ham individuals and open up spaces. One such relationship saw Roberto Firmino drop deep in central areas, creating space for Lallana to run into. In the second half, Joel Matip often travelled out with the ball, to commit Robert Snodgrass and open up space for Lallana ahead of him. Liverpool used two forwards in the latter stages, to occupy the West Ham centre-backs. They also kept their full-backs high, allowing Sadio Mane or Xherdan Shaqiri to drop into the half-spaces. 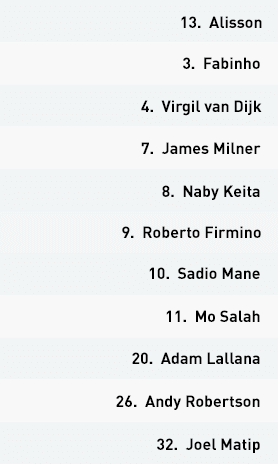 Jurgen Klopp set Liverpool up in a 4-3-3 formation, with Fabinho as a single pivot behind Naby Keita and Adam Lallana in midfield, and Roberto Firmino, Mo Salah and Sadio Mane in attack. 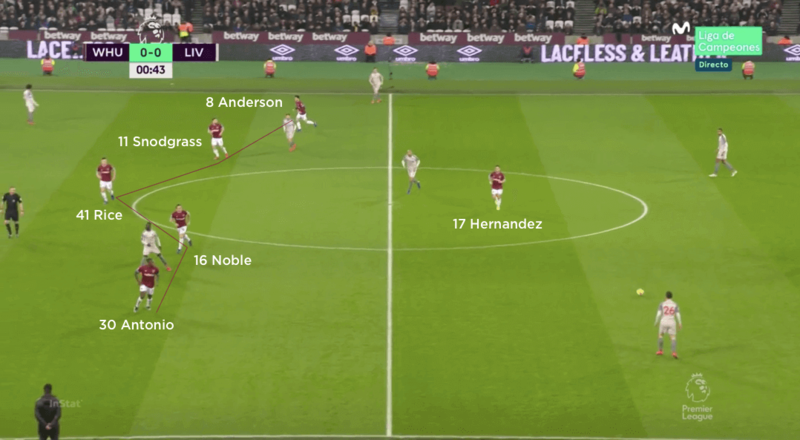 The Reds had to try to break down an organised West Ham block, and tried to do so with vertical rotation between individuals throughout the team. Firmino often looked to drop into attacking midfield areas, with Lallana then making runs in behind the West Ham defence. As a result, the England man tended to take up more advanced positions than Fabinho and Keita, and would tend to use the right half-space to either get on the ball or begin his run in behind. 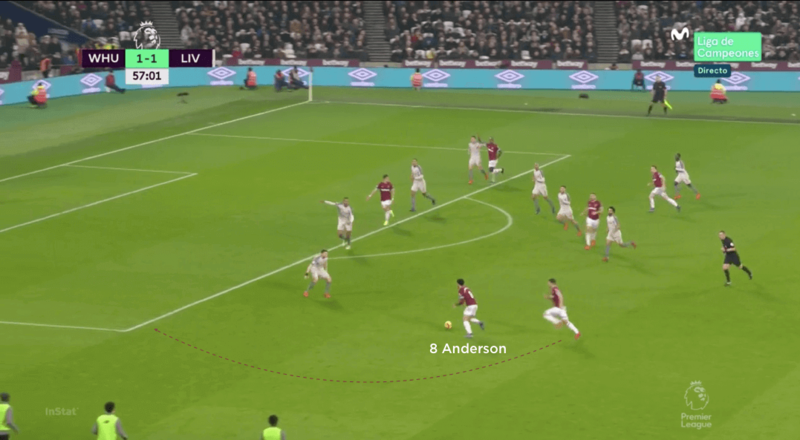 Sadio Mane often dropped towards the ball in the half-space on the other side, which triggered the run of left-back Andy Robertson in behind West Ham right-back Ryan Fredericks. 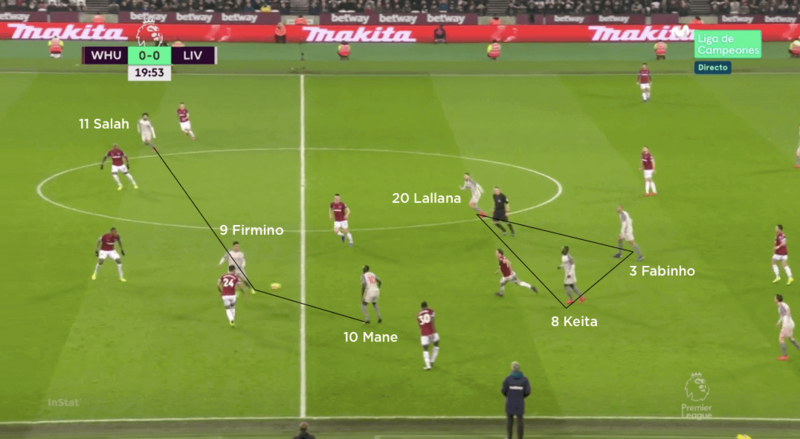 Enjoying only limited success, Liverpool began to drop Keita diagonally away from Fabinho and into a deeper area in an attempt to draw Mark Noble out. 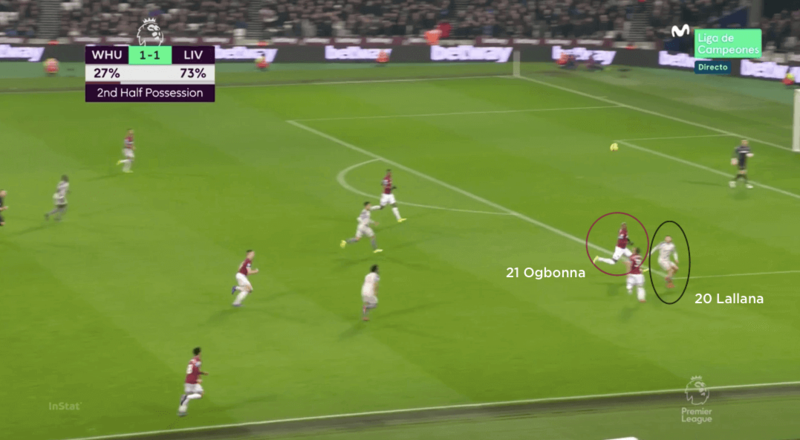 This also allowed Robertson to push further on, but the Hammers midfield remained disciplined and Noble wouldn’t close down until Keita crossed the halfway line. In the second half, Liverpool often used Joel Matip to drive out with the ball and try to commit individuals from the West Ham block. Javier Hernandez’s pressure was limited, so Robert Snodgrass would often come out – this allowed Lallana to drop off and create an angle to receive beyond him, although Matip’s delivery was inconsistent and the visitors never played with the quality required to break the hosts down in this way. In the final stages, Liverpool tried to occupy the West Ham centre-backs with two strikers – Salah and substitute Divock Origi – while keeping their full-backs high. 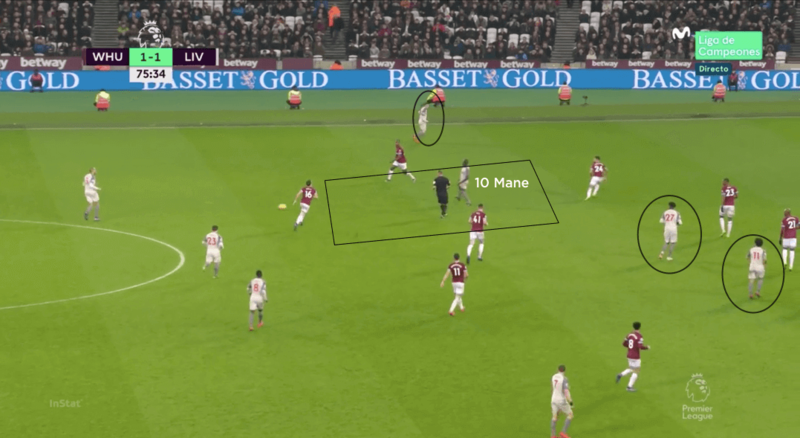 This would allow the likes of Mane and Xherdan Shaqiri to drop into the half-spaces without being tracked by West Ham defenders, and receive to turn and play forwards. Despite the West Ham midfield unit tiring towards the end of the game, Liverpool were unable to find a winner – justice being done, perhaps, for the fact that their goal on the night should not have stood in the first place. Out of possession, Liverpool had little to do. 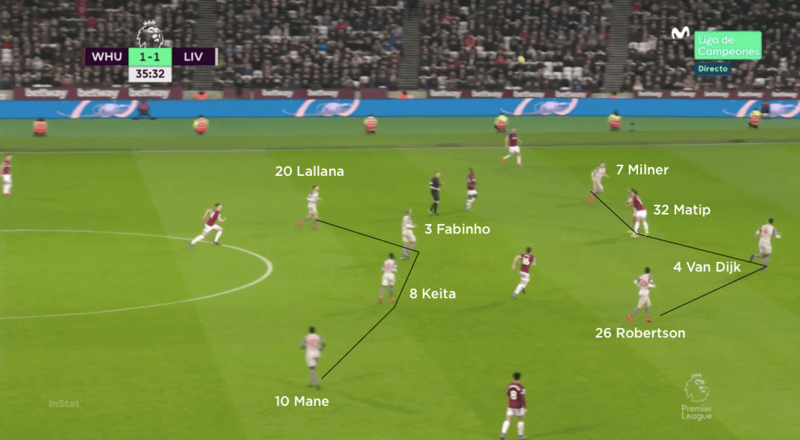 On the rare occasions West Ham had good possession, the visitors would drop into a 4-4-2, with Lallana pushing out to the right of midfield and Mane tucking in on the left. The Reds’ defending typically came in two forms – defending direct play and defending in transition. When defending direct play, Virgil van Dijk and Matip typically won the first headers, from which Liverpool would try to regain the second ball. When defending the counter-attack, Liverpool usually left Fabinho in a deeper position alongside his centre-backs, to delay the attack while their teammates recovered. The Liverpool forwards were consistently quick at recovering in transition, although when Liverpool were struggling to recover they tended to commit tactical fouls in a bid to disrupt the counter-attack. This didn’t always work to their advantage, with a back line shorn of Joe Gomez, Dejan Lovren and Trent Alexander-Arnold nowhere near as solid as it has looked for much of the season.